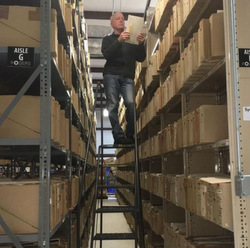 Two million Fairfax photos, a pictorial first draft of Australia’s history dating back to the 20th century, may soon return home after being trapped for years in a warehouse in Little Rock, Arkansas. Daniel Miller, director of Duncan Miller gallery in California, acquired the Fairfax archive from bankruptcy lawyers, who took control of the original photos and negatives which had been sent to a convicted conman for digitisation. 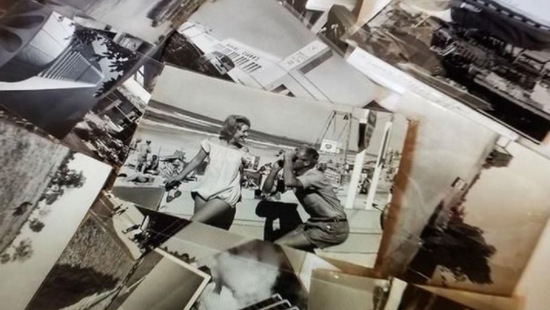 In June 2013, Fairfax struck a deal with Roger’s Photo Archive, operated by Little Rock entrepreneur and conman John Rogers, to digitise the priceless photo archive which spans over 100 years. Rogers would provide Fairfax the digitised collection, and pay US$300,000 to own the original photos and negatives. The struggling media company wanted a low-cost solution to maintain its photo archive – and this was it. The deal, which was described by Fairfax as ‘preserving the photos for future generations’, fell apart after multiple lawsuits accused Rogers of fraud. Only a quarter of the ‘eight million photos’ had been scanned and returned before Rogers fell into receivership. He was charged with fraud for creating an selling fake sports memorabilia, and it remained a mystery where the photos went. A court appearance revealed Rogers wife sold some photos on eBay, even before they had been scanned. Fortunately Miller purchased the photos and has vowed to return them to Australia. He signed an agreement forcing him to not disclose what he paid, however New York appraiser, Penelope Dixon, priced the collection is worth a jaw-dropping US$82 million. Miller told The Australian this was a ‘solid appraisal’ and he hopes to receive 10 to 15 percent of this valuation – about $10 million. Fairfax must be feeling silly for selling the multi-million dollar family silver for a mere $300,000. The bankruptcy lawyers were initially planning to break the collection into little pieces and sell them through US-based eBay merchants before the Californian art dealer stepped in. As a dealer, Miller is fascinated in historical photos and regularly purchases collections of European photos to exhibit and sell. His team has sifted through the archive and organised them into sections of interest. This includes but is not limited to Whaling and Maritime, Aviation, Royalty, Theatre, Cricket, Olympics, AFL, Horse Racing, Indigenous People, Crime and Law, Australian History, and Specific Regions and Town. There’s around 1000 photos from legendary Australian photographers. This includes 200 images by Max Dupain, 250 by Wolfgang Sievers, 400 by Jeff Carter, and around 75 by David Moore, as well as photos by Olive Cotton. Miller says the Dupain photos span from the 1940s until the 1970s. He told The Australian that any photos taken after 1955 are still the copyright of Fairfax, and he’s ‘only selling pieces of paper’. Miller landed in Australia and has met with museums and libraries to negotiate sales for sections of the archive. On Wednesday, June 21, he presented an information session at the Museum of Applied Arts and Sciences in Sydney to photography curators from Art Gallery of NSW, the Museum of Art and Sciences and the Australian War Memorial. The art dealer, specialising in photography, hopes to make a tidy profit from his acquisition while returning the photos to Australian organisations. Miller has already reached a deal for 25,000 cricket photos, which will go to the Bradman Museum in Bowral. A website has been set up to assist buyers with requests, and to ‘repatriate sections of this historic archive back to Australia from its current location in the United States’. Interestingly, Miller describes the two million photos as ‘the entire piece vintage photograph archive from the Sydney Morning Herald‘. However Fairfax originally sent over eight million pictures, from mastheads including the Sun-Herald, The Age, Sunday Star-Times, Auckland Star, and Dominion Post. It seems a large portion remain missing. This entry was posted in News, Top story by Keith Shipton. Bookmark the permalink. How does one get in touch with Daniel Miller regarding this sale for a museum in the planning ? Thredbo Hiistorical Society is a not for profit charity, staffed by volunteers, who display a nationally significant alpine skiing collection dating in time to the 1860’s. Would you kindly inform us about the number and tupe of the skiing related photos you have in your collection amd the possibility of viewing these images.